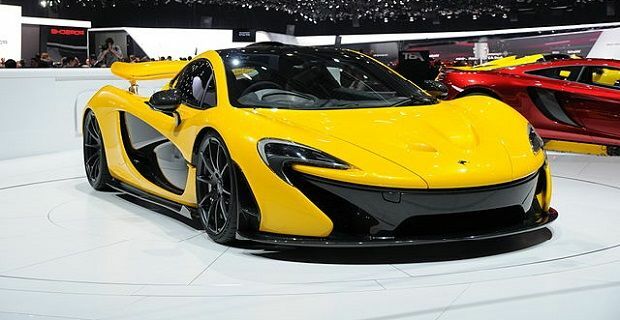 Last year was a great one for super cars and economical cars with machines like the McLaren P1 and the Ferrari LaFerrari showing us that hybrid technology could be used in super-fast cars and Ford and VW pushing their EcoBoost and Bluemotion technologies to a wider market. But there were lots of mad petrol-hungry cars launched during 2013. The Chevrolet Corvette Stingray was the star of the show at the 2013 Detroit Auto Show in January. The seventh generation icon was all-new for 2013 and it was the first one to be built to the standards expected in Europe. In a lot of ways it helped rejuvenate GM at a time when sales were lacking and worked as more than a halo car for the American Chevrolet brand. European roads won’t see too many Corvettes, but 2013 also brought us plenty of new super hatches. The launch of the RenaultSport Clio, the new Peugeot 208 GTI, Ford Fiesta ST, and VW Golf GTI meant that the market was flooded with great quality hot-hatchbacks. While sales of other Ford Fiestas continued to top the UK’s monthly chart, the Fiesta ST took a lot of accolades. Awards from Top Gear Magazine and What Car? proved that the ST was more than a great looking Fiesta. While mass manufacturers were able to hold sales numbers up, smaller companies suffered throughout 2013. Fisker were one firm who reached the end of the road in 2013. When their battery supplier went bust and hundreds of Fiskers were lost when a dock submerged after storm Sandy hit, the firm went bust. Backer, including America’s government, lost £1billion when the firm went down. In Europe, Peugeot-Citroen had to close its Aulnay plant near the French capital, and Ford shut its Genk plant in Belgium. Competition from Hyundai and Kia were blamed for the losses but the continuing financial crisis in Europe must have been the main contributing factor. Normally we’d be predicting what to expect for 2014 but the car industry isn’t making that very easy. Let’s see what comes out of the 2014 Detroit Auto Show later in the month before attempting to predict the year ahead.